They say you are what you tweet, you are what you post on Facebook and Instagram, and you are what you blog about. And other says social media is a unicorn, but maybe it’s just a horse? Be informed, join the social revolution, and meet the social revolutionists as they share their strategies on how to win it in the blogoshere and online community on the 2nd Laguna Blogging Summit happening on November 14 - 15, 2013 at the Cultural Center of Laguna, Sta. Cruz, Laguna. 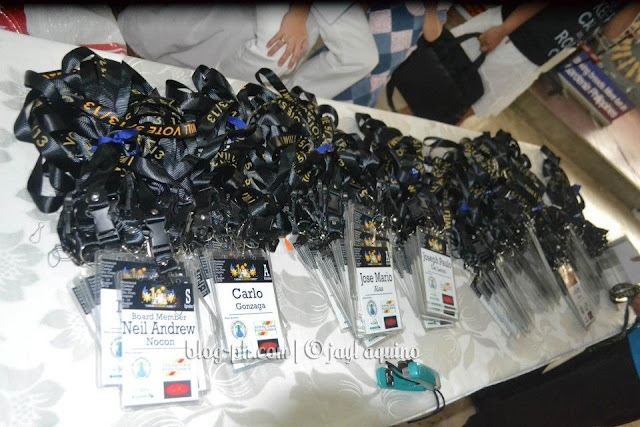 Hosted by Rod Magaru and Florencio Jusay Jr., the second year of the Laguna Blogging Summit (LaBS) will not only promote the tourism of Laguna and talk about Social Media and Digital Marketing, but most importantly promote more awareness for a responsible online and social media community by experts and notable speakers who are successful in their field and advocating information. Of last year's huge number of attendees, more participants are expected this year from students, professors, bloggers, social media influencers to media practitioners, young professionals and marketing executives to learn more about Digital Marketing, Social Media, and Branding. "This year, we added a new set of speakers like Carlos Celdran who is the new Manila Chief of Tourism, we are expecting that he will share his knowledge, expertise and experience of the effectiveness of Social Media in Tourism and him being the man who won a lot of awards because of his advocacy. ", Lead Organizer Grace Nicolas said. This year's notable speakers also supporting the Laguna Blogging Summit are Digital Marketing expert Janette Toral, Philippine Star columnist Alvin Cloyd Dakis, COMELEC Communications Director James Jimenez, Manila Bulletin's Tech News editor Art Samaniego Jr, Money Talks host at 106.7 Energy FM and Philippine Daily Inquirer columnist Randell Tiongson, "The Voice Master" Pocholo De Leon Gonzales, one of the best motivational speaker Lloyd Luna, Internet Marketing expert Ben Francia, De La Salle Zobel Green Bloggers Club adviser Rhodora Espiritu, President and Chairman of Earth Day Network Philippines Roberto Guevarra, and social-political-faith issues writer Eyriche Cortez. The newly elected 3rd District of Laguna Representative Marisol "Sol" Aragones will also be showing her full support to the event. As one of the empowered reporter under ABS-CBN, she surely knows the importance of Social Media now in today's advocacy and the fight against corruption which actually proven by the August 26, 2013 Historical Million People March where more Filipinos not only in the Philippines but around the Globe joined forces to show the same interest in fighting corruption where the first call just came from a single Facebook Community Account. 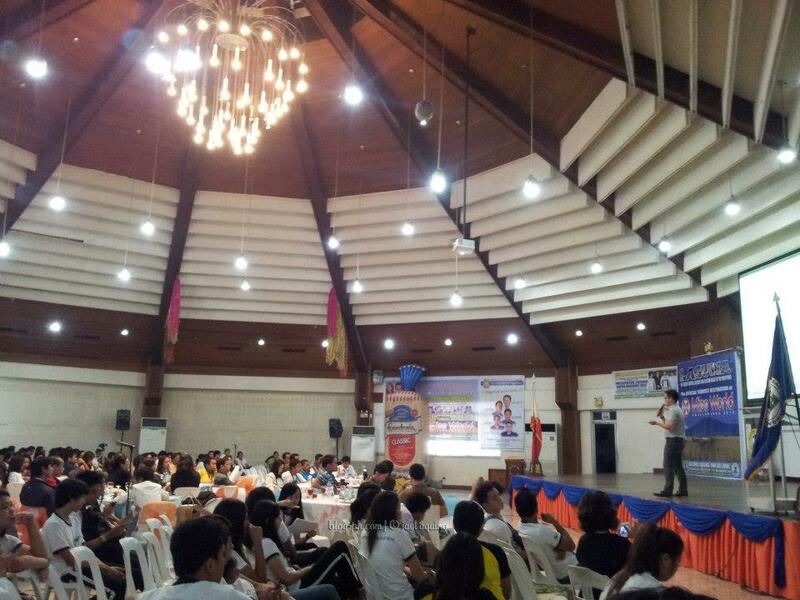 The 2nd Laguna Blogging Summit is greatly supported by the Province of Laguna and Laguna Governor Jeorge "ER" Ejercito, Chief of Staff Carlos F. Dolendo, Philippine Red Cross and Philippine Red Cross Assistant Secretary General Neil Andrew Nocon. This event is sponsored by Gardenia Bakers Philippines Inc., AirAsia, Commission on Elections, Café Lupe, 100 Miles Cafe, Cafe De Bonifacio, Oriang, Greenwich, Mac Carranz International Corp, Melbas Farm, Andrew Grace Home Builders, Casa Alegria Condotel, Galiliea Events Place, and Zoomanity Group. Official Media partners are Kliping Times, WhenInManila.com, The Tribune Post, Wazzup Pilipinas, Blog-ph.com, Ronda Balita, Manila Channel and Magic Expose. and Facebook for more updates! I envy that Laguna have this event,but I didn't now about this until now. :( I hope that Rizal will also have this kind of summit for bloggers. good job for all the bloggers who came here. keep up the good job guys! sa October pa ito ah. gara ng mga comments ng iba. Haha! akala ko tapos na. :P May chance pa pala ako. Sorry po. My bad. I wanna try to attend here. I hope makaattend ako. Pano po yung galing Cavite hindi po kasali sa free transpo? wow this is a huge event. I am sure everyone will enjoy the blogging summit. How I wish meron din ganyan d2 sa province namin. 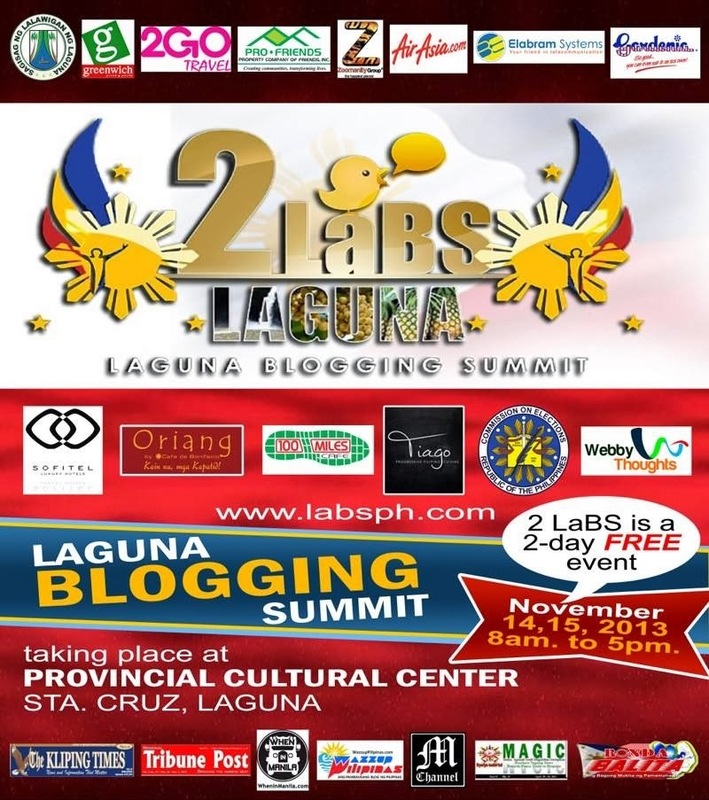 i am also excited about the Laguna blogging summit.. I think this going to be a great event!! I am just hoping that the new bloggers and those ahead of them use it in a responsible ways. It's nice to see events like this for bloggers to meet up and learn some new concepts. I hope I can attend this event, I was hoping to last year but schedules didn't work out. Would love to meet other bloggers especially those based in Laguna. omg! i am from laguna! i dont even know we have this thing! hope i can attend in the future and meet all the bloggers around! I am sure there will be big audience in your blogging summit. I hope everyone will benefit so much with the lecture and presentation especially on the basic responsibility of every blogger in social media sharing, among others. Congratz in advance for the success of this big event in the realm of blogging especially in Laguna. wow!! really want to attend this.. a huge fan of Carlos Celdran!! Bro, volunteer pa ba ako rito? I will definitely attend the event. Congrats to the organizers of this event and I'm sure this will be a great success. Wow, this is one of the event that I really want to attend being from Laguna. Wow! It's so impressive that there'll be a 2nd Laguna Blogging Summit. If only I live nearer, I would've loved to attend. Anyway, good luck and more power to the team behind this event!